Victims of medical malpractice in Marlton, NJ deserve the opportunity to have their voices heard. While you are struggling to get out from underneath a mountain of bills stemming from emergency room visits, doctor’s office visits, prescription medication bills, and other medical expenses, your lawyer should be building your case and preparing for trial. 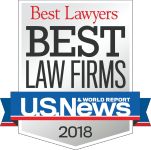 The Andres & Berger legal team includes top-rated attorneys who are passionate about helping injured clients get financial compensation from negligent medical providers and their insurance companies. 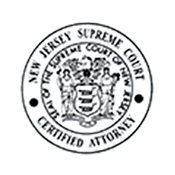 Our firm literally wrote the book on medical malpractice law in New Jersey: “New Jersey Injury and Malpractice Law – A Reference for Accident and Malpractice Victims,” a manual to assist anyone who has been injured by a negligent physician, doctor, or surgeon in Burlington County, Camden County, or anywhere else in NJ. If you or a loved one has incurred significant medical expenses due to a medical mistake in Marlton, New Jersey, you need to contact The Law Offices of Andres & Berger, P.C. immediately. It is imperative that negligent physicians are held accountable for their mistakes so that no other patients have to needlessly suffer in the future. Moreover, you should not have to pay the costs of medical treatment and related expenses caused by a negligent doctor. 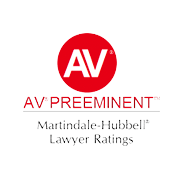 The Marlton medical malpractice lawyers at Andres & Berger are prepared to assist you with your medical malpractice claim and help you get justice. Call us today. Why Should You Choose Andres & Berger? The Andres & Berger legal team is attentive to the needs of our clients because we understand the difficulties they face in the aftermath of a serious medical mistake. 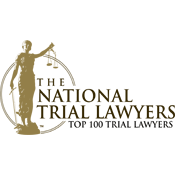 Our experienced Marlton NJ medical malpractice attorneys include litigators who have been listed among the “Top 100 Lawyers in New Jersey Super Lawyers” in New Jersey Monthly. Moreover, our Burlington County medical malpractice law firm also utilizes the services of nurses, paralegals, and other support staff to help prepare winning cases for clients in medical malpractice cases. 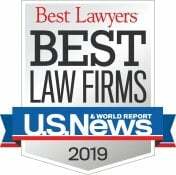 Michael Berger, a managing partner at Andres & Berger, is an award-winning medical malpractice attorney who dedicates his entire legal practice to helping medical negligence victims get compensated for their injuries and their losses. 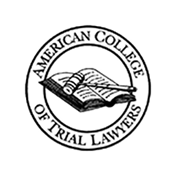 Mr. Berger has been certified by the National Board of Trial Advocates and is a Fellow of the American College of Trial Lawyers, so you can count on him to get the job done for you in the courtroom if your case proceeds to trial. Mr. Berger is also a skilled negotiator who understands the tactics used by medical providers and their insurance companies in medical malpractice cases. Mr. Berger’s track record of success includes obtaining millions of dollars in favorable settlements for his clients. Do not make the mistake of trying to negotiate with the hospital or insurance company when it comes to getting compensated for a serious medical error. You need an experienced legal advocate on your side and fighting to protect your rights. 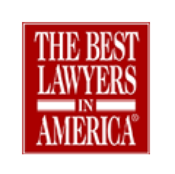 Marlton medical malpractice attorney Michael S. Berger and the other skilled medical malpractice attorneys at Andres & Berger, P.C. will do everything in their power to help you collect damages in your case. We work on contingency, which means we will assume all of the financial risk; we don’t get paid until you get paid. Call us today. Marlton is an unincorporated community located in Evesham Township, NJ. Evesham is part of Burlington County, New Jersey and contains several unincorporated communities and census-designated places, including Marlton, Berlin Heights, Cambridge, Cropwell, Crowfoot, Donlontown, Elmwood Road, Evans Corner, Evesboro, Gibbs Mill, Milford, Pine Grove, and Tomlinson’s Mill. Marlton and Evesham, the municipality in which Marlton is situated, have become synonymous over the years, with many people referring to Evesham Township as Marlton. Marlton has a total population of more than 10,000 residents and a geographic area of 3.2 square miles. New Jersey Route 70 and New Jersey Route 73 both run through Marlton. The state highways provide easy access to Camden County, Atlantic County, Ocean County, Monmouth County, and other parts of Burlington County. Prior to 2011, the Marlton Circle connected Route 70 and Route 73 in Marlton and was accessible by motorists who were traveling on the New Jersey Turnpike. Approximately 90,000 motor vehicles passed through Marlton Circle every day, leading to numerous car accidents. The large number of car accidents, many of which resulted in serious injuries and fatalities, prompted the NJ Department of Transportation to eliminate Marlton Circle in 2011. Motorists can now use the Route 73 southbound overpass while driving through Marlton. Individuals who suffer injuries in auto accidents, slip and fall accidents, or any other types of accidents in Marlton, New Jersey are typically transported to Virtua Marlton Hospital on Brick Road. Virtua Marlton Hospital is a South Jersey regional medical center with specialists in advanced surgery. Other hospitals and medical facilities located near Marlton are Kennedy Health System in Cherry Hill and Virtua Hospital in Voorhees.